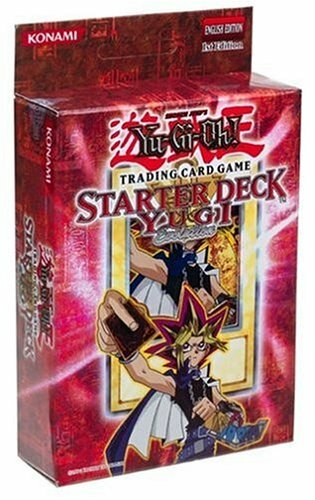 YuGiOh steps up to the next level with the third set ofStarter Decks bEvolution Starter Decks/b! You better be ready for these twopowerhouse decks based off the insanely strong Japanese Structure Decks! Youhave three new foils for each deck as well as tons of cards never before seenin decks. So if you are ready to tame the power, get ready to evolve yourgame! brbYugi gets a powerful new ally in the Black Luster Soldier/b From theManufacturer These factory-sealed Yu-Gi-Oh Evolution Decks include 50 cardsone half of the cards are from popular booster cards and the other half of theYugi or Kaiba Deck depending on the deck you choose. Each Evolution Deckfeatures 3 new cards unique to each deck. The experienced gamers will want topick up a deck just for these cards. The new cards in the Yugi and KaibaEvolution Decks are versatile and can be put into different decks (ExodiaDeck, Gravekeeper's Deck, Warrior Deck, Ritual Monster Deck, or Dragon Deck).Styles may vary.